"As a Senior Consultant, I am involved in projects dealing with organisational change, process improvement and digitalisation. This involves finding ways of improving existing organisational set-ups, getting past dysfunctionalities which may have evolved, as well as answering to the demands of our digital age." This month we welcome Peter Markowski who has joined our Strategy & Operations team in Stockholm. Peter holds a Ph.D. from Stockholm University and is a specialist in organisational change within the public sector - much of which is driven by digitalisation. As a Senior Consultant, I am involved in projects dealing with organisational change, process improvement and digitalisation. This involves finding ways of improving existing organisational set-ups, getting past dysfunctionalities which may have evolved, as well as answering to the demands of our digital age. The latter often requires organisations to rethink their processes and operating models. What made you want to join Ramboll Management Consulting? Having spent the last years doing research, I wanted to do more applied work dealing with organisations. Furthermore, I really wanted to get back into consulting which I very much enjoy. I then found a match with Ramboll’s values and societal focus. An experience which has stuck with me is from a meeting I had with the head of the surgery clinic in a large hospital. Commenting on an initiative to formalise production management principles in the hospital, he proclaimed that “when they want to play factory, and we want to play doctors, we end up with quarrel in the sandbox”. This made me curious to understand how common management principles, which are often based on studies of manufacturing companies, may be adapted to knowledge-intensive and value-oriented contexts such as healthcare. I believe it is digitalisation since it is transforming the very practice of organisation. While human behaviour is still at centre stage, its integration with technology is calling for new management methods as well as the transformation of bureaucracy as we know it. Welcome to Peter Markowski, who joined our Strategy & Operations practice in the Stockholm office. I am currently leading two projects within digitalisation where we are helping our clients find a fit between new digital capabilities and their current operating model. This work is about how new technology changes the way work is done - and not least – how it affects those who work in the organisation. Centrally, digitalisation outspans traditional boundaries between sectors, and Ramboll Management Consulting with a broad range of services, is well-positioned to be a holistic player in this area. Well, humbly speaking, I hope my work adds to our clients’ knowledge and helps them address their challenges. And more broadly I hope that in some way this helps improving the functioning of society. At my desk I always have…? Headphones, laptop, and a glass of water. During a day I usually move around, and these three things make it possible for me to get work done anywhere. If I had the skills, I would love to be…? An actor in a Broadway musical. But I think it’s best for everyone that I stick to what I’m really good at. 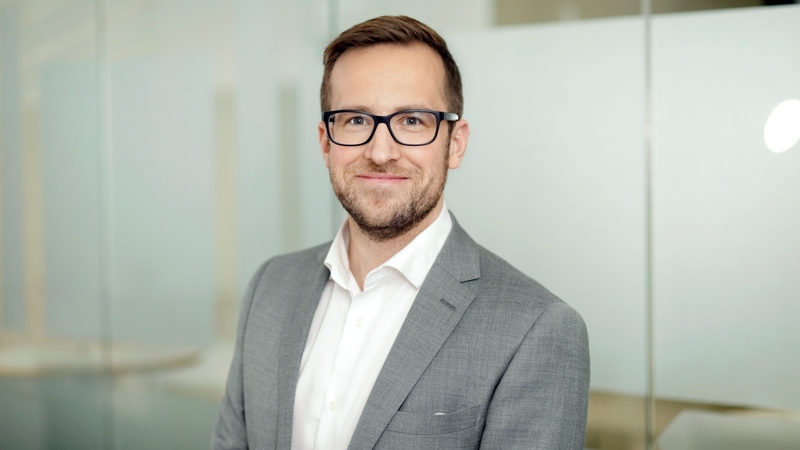 Peter joined our Strategy & Operations practice in the Stockholm office in October 2018. Peter holds a Ph.D. from Stockholm University. His dissertation has the title: Collaboration routines – A study of interdisciplinary healthcare. He has a background in management consulting with focus on organisational change and has spent substantial time working with and studying public organisations, and in particular healthcare.